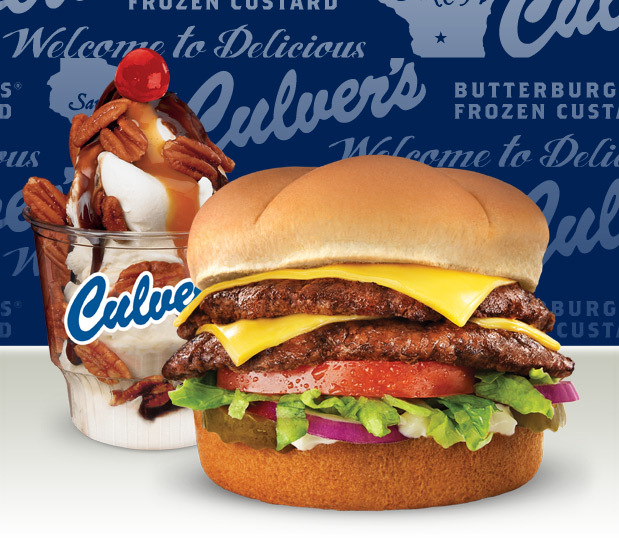 So, back when I lived in Chicago, I used to eat at this fast food chain called Culver’s. I often got these spicy, breaded chicken strips. It was normal fast food fare. Should have been barely a blip on my mental landscape. But, somehow, even years later, I still remember it. Even living in Clearwater, it still took up a piece of my mind. However, I moved on, and thought now that I lived here I would just have different restaurants available. Places like Five Guys, Chick-fil-A, or Checkers. Franchises have a tendency to march on though, always in search of customers. And a larger pool of people to market toward is something a business will always want. So, on Gulf-to-Bay it appeared: A Culver’s. Ripped straight from my memory and placed, brick and all, inside Clearwater. Ready to serve its touted frozen custard. Ready to market themselves as a new fast food joint on the block, with a parking lot massive enough to hold lunch rushes. And they work fast there on advertising. I mean, I’m already hearing commercials for it during car rides. Nostalgia is a strong thing. And it’s sitting there with the promise of a memory, and food I haven’t had in a long time. I’m a different person now. But Culver’s is the same. And it might sound silly to talk so dramatically about a fast food joint, but, still, it would be nice to go back, at least once more.